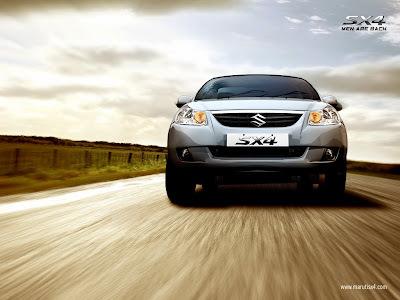 Maruti Udyog Ltd. has launched its premium model bearing name SX4. 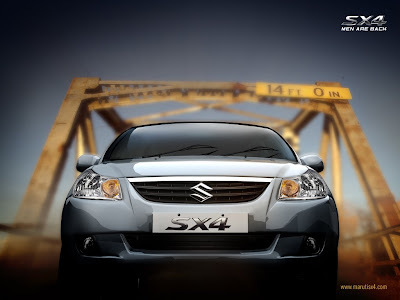 After Maruti Suzuki Swift, SX4 is the second international model being launched in India. 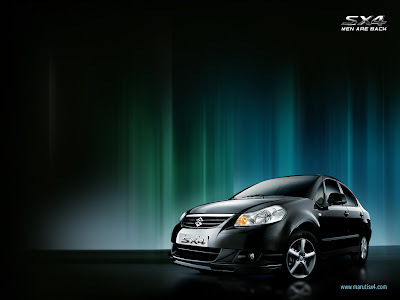 Suzuki SX4, is an A3 segment sedan car, with a perfect combination of style, performance, safety and comfort. There are two versions of Suzuki SX4: Vxi and Zxi that gets power from latest and efficient 1.6-litre M-Series engine delivering impressive 102 BHP of power. * Powered with 16 valve, 4 cylinder engine delivering impressive 143 horsepower, 136 ft lbs of torque. * 15" large wheels and the arched bumpers adds grace to its athletic and robust presence. * Power assisted rack and pinion steering. * All wheel drive system to have better riding comfort. * Standard MP3 ready stereo with 04 speakers and available iPod integration. * With 4,490 mm length and 1,735 mm width, the SX4 looks very grand. * Dashboard composed Music System with controls on Steering Wheel. * An illuminated key insert switch is the unique features of this car. * The turning radius of 5.3 meters makes the SX4 easily driven car on narrow roads. * The SX4 comes with a unique anti theft device called The immobilizer. Maruti Suzuki SX4 has been priced between Rs. 6-6.5 Lacs.